If you own a timeshare, it is quite likely that you have ended up regretting that purchase. 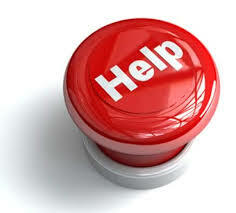 If this is you, you are not alone, and you need our timeshare exit team. In fact, according to research done by the AARP, Huffington Post, and other publications, a timeshare comes in as the number one most regretted purchase. Read more to find out how to get rid of a timeshare and ditch your buyer’s remorse. In a moment of weakness, you did it, you bought a timeshare. It is so unlike you, and you instantly realized it was probably a bad decision. But you decided to give it a shot. After all, the timeshare salesman showed you so many graphs demonstrating timeshare satisfaction. And you heard so many testimonials from satisfied customers. So you didn’t cancel your timeshare during your rescission period because you wanted to give it a try. But, it turns out, your first instinct was correct, and now you are stuck wondering how to get rid of a timeshare. There are several reasons that you may be disillusioned with your timeshare. Perhaps you are not in a financial situation where you can’t afford your timeshare comfortably. Maybe you realized that your timeshare is not as flexible as you thought it would be. This is very common. During your timeshare presentation, you were probably told that you would be able to use your points flexibly to go on longer vacations or to more exotic destinations. It was also explained that you would have a certain amount of flex points to use however you wanted. This is usually not true. Our timeshare exit team frequently hears about timeshare scams and even legitimate timeshares that limit your point usage and make it nearly impossible to go on the vacations you want. Now you need to get out of your timeshare. But you aren’t sure where to start. You may think that it would make sense to start by calling the timeshare company. I cannot stress enough that you should not do this. The timeshare company has a vested interest in keeping you in your timeshare. If you give it back to them or cancel it, they have another timeshare to sell and one they aren’t making money on. If you call, they will tell you it is impossible to cancel a timeshare, and no matter how sad your sob story is, they won’t take it back. They may even double down and try to sell you extra points so that you can use your timeshare “more effectively.” This is clearly not what you want, but you may be tempted. However don’t expect your timeshare to be any more enjoyable just because it is more effective. From here, you may feel lost, even discouraged. Not sure what to do next you may think about selling your timeshare. This is also usually a mistake. Despite what you were told by the timeshare company, the retail timeshare market is terrible. You may be able to sell your timeshare but most likely only for a fraction of what you owe on it. Our timeshare exit team has even seen cases where our clients still owed the timeshare company money after selling their timeshare. It also takes a long time to sell a timeshare, and you have to continue making payments while you own it. It may be tempting to just default on your timeshare. Stop making payments and get rid of it. This is a huge mistake. If you stop making payments, your timeshare will go into foreclosure, just like a traditional real estate deed would. You get taken to collections, and your credit gets ruined. If you need to get a loan or credit card anytime in the next seven years, it is very, very difficult. There is a better way to get rid of a timeshare. You need to get a timeshare cancellation, and our timeshare exit team can help you get one. We specialize in timeshare cancellation. 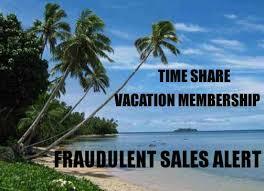 We are not one of the many timeshare resale scams, and we do not work for the resort industry. We can get you the cancellation you need. Our timeshare exit team cost is reasonable, and we stand behind our work. In fact, we are so confident that we can help you get rid of your timeshare that we offer a money-back, satisfaction guarantee. If we can’t cancel your timeshare, we refund your money. Stop wasting your time dealing with the timeshare company and let us take over for you. We will review your contract and give you a comprehensive analysis of your options and a plan for timeshare cancellation. We are here for you when you need us. Our timeshare exit team is standing by to take your call, all day every day.